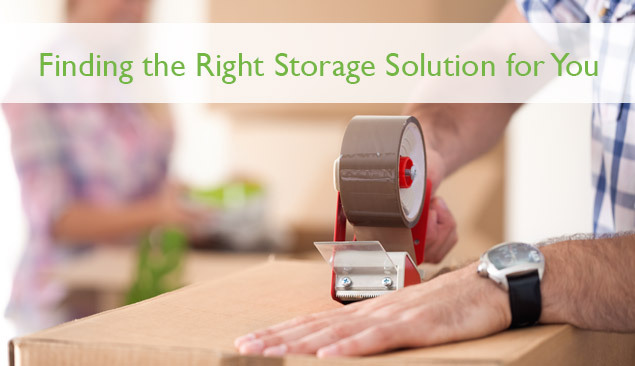 There are a number of reasons you might choose to use a storage solution. One of the most popular is for people who are moving house. The opportunity to put all of your belongings into storage can give more flexibility in your moving process, letting you wait to get the house you really want, rather than the one that is convenient. Some people use secure storage when downsizing, giving them time to decide what to do with surplus belongings rather than have to get rid of them immediately. And some people use secure storage simply because they don’t have enough room at home to store everything! Whatever your reason, secure storage is becoming more and more popular, with many different companies offering this service. Let’s take a look at some of the main considerations when deciding which secure storage solution might be right for you and your circumstances. Probably the most important consideration for anyone putting belongings into storage is the security arrangements. Who has access to the storage facility and what security checks have they undergone? What security systems are in place to monitor the facility? Do they have adequate fire protection? These are all questions any potential company should be happy to answer, enabling you to feel comfortable that your items are going to be safe and secure at the storage facility. Different storage facilities offer different sizes of storage unit. Obviously the price of the storage will depend on how much you use, so it makes sense for you to pick one that is the right size for you. A good storage company will help you assess your belongings and then identify the right package for you. Storage prices can vary considerably, depending on the service being provided. At Eco Movers, we provide containerised storage, where your belongings are put in secure containers before being stored in a high security warehouse. Other storage facilities may just offer locked units within an ‘open-to-all’ warehouse. The price you pay will influence the level of service and security in place, so consider carefully what factors are important to you. A key question to consider is how often you need to access your belongings. If you are simply storing your household contents between properties then it’s very unlikely that you will need to access them during this time and so containerised storage, which requires appointments to be made for access, may work for you. However, if you use the storage facility as an ‘overflow’ space to store, for example, large sporting equipment such as bikes or kayaks then you are going to need a facility that offers easy regular access.